Bethel already offers many services and programs for its senior population. An active Senior College offers courses across a broad range of topics, all taught by senior volunteers. Under the sponsorship of the Senior College, with the collaboration of the local Bethel Family Health Center and MSAD#44 Adult Education, a popular ten-year series of programs has developed called “To Your Health” that focuses on healthy aging. Programs are open to the community. Social opportunities are provided by a Senior Citizens Club that holds monthly luncheon meetings, the Bethel Historical Society, various craft and hobby-oriented groups, and our many churches and service organizations. Many of these groups offer seniors the opportunity to volunteer and be of service to others in the community. The Bethel Library offers access to computers and the Internet. The town has recently applied resources to improve and expand sidewalks, and relocate crosswalks to make them more wheelchair and walker friendly. In addition, the town has a much-used evenly-paved walking path, with ongoing plans for extension. Benches are conveniently located along the pathway. There is some dedicated senior housing, as well as housing focused more broadly on disabled and low-income residents. Western Maine Transportation, though based in Auburn, does provide van service on an appointment basis, and some churches have driver call lists for church members who need rides to appointments. The Bethel Family Health Center provides local health care. Those requiring hospitalization may utilize Stephens Memorial Hospital in Norway or the Rumford Hospital where the Health Center maintains strong relationships. Many non-profit agencies in our area provide a range of services to support the needs of our rural population. The Age-Friendly Community Project plans to work with these organizations and agencies to improve the quality of life for our seniors and provide the services that will allow them to age in place. We have started to explore what Bethel already has to offer in the various domains outlined by AARP and WHO. Comments and ideas will be solicited from individuals and groups to identify the areas that community members believe are in need of particular improvement. This will help us prioritize our efforts on future projects. During September, members of the Age-Friendly Community Project team will approach many community groups to encourage their participation in two community gatherings planned for October. The Team will also send letters to area churches and organizations to inform them of our plans. We are adapting the AARP survey specifically for Bethel and hope that the information we glean from the results will spark meaningful conversations and impel action. 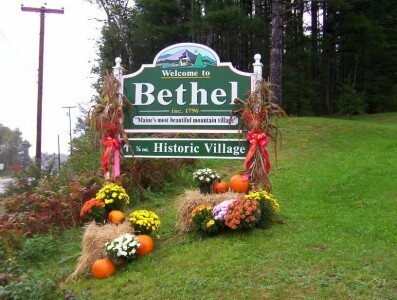 Bethel and its neighboring communities are fortunate in hosting organizations that believe strongly in collaboration. In agreement with these groups, we are certain we will be able to develop specific projects to accomplish our mission. The Age-Friendly Community Project will focus specifically on the needs of our seniors. However, we will also form partnerships with organizations whose mission may be to provide healthy food, access to affordable housing, transportation, or any of the other topics covered by the “domains.” These coordinated efforts will, in the end, make Bethel a more livable community for all its citizens. We believe that many of the resources needed are already here. We just need to identify them, make the citizens aware of their availability, and build on what we already have.